← How cool are our cool nights! 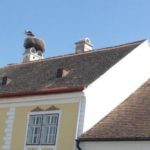 However, Austria has many other unique wine secrets and no less so than in Burgenland, situated south of Vienna in the easternmost part of Austria, adjacent to the border with Hungary. Here, the seemingly endless Pannonian plain stretches beyond the horizon, and the geography is as far removed as can be imagined from the Alps-dominated ‘Sound of Music’ landscape of western Austria. 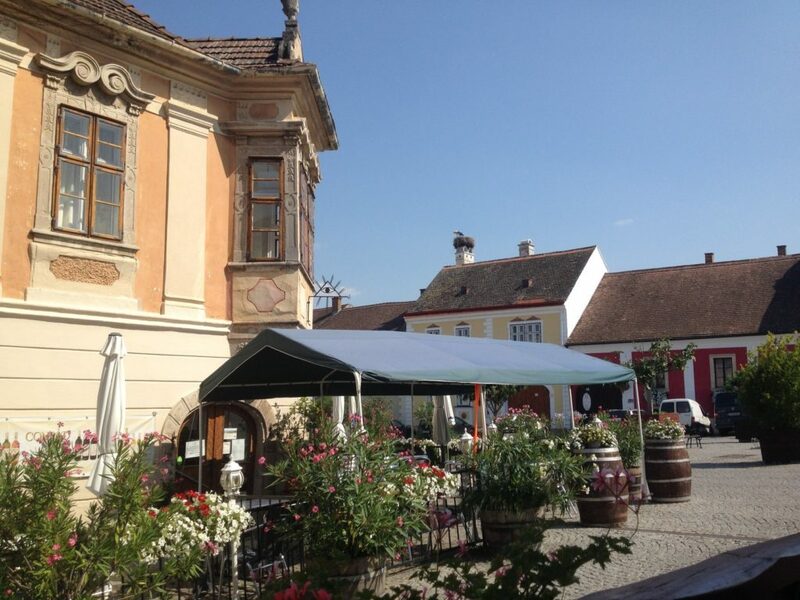 The historic region of Burgenland, Austria’s oldest wine region, is known for its climate of hot continental summers. Although there is some snow in winter, many parts of Burgenland receive over 300 days of sunshine a year. The release this month of the Hahndorf Hill ‘Blueblood’ Blaufrankisch 2015 is an apt time to revisit our journey last year to this red-wine heartland of Austria, where indigenous varieties such as Blaufrankisch, Zweigelt and St Laurent thrive. 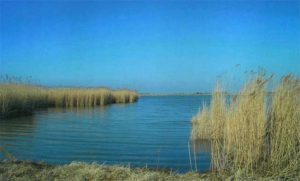 The viticultural focal point of the region is the vast, shallow steppe lake, Neusiedlersee, which helps contribute to the mild climate by storing heat and facilitating a long ripening season. The lake’s humidity also promotes the spread of noble rot in certain areas, resulting in magnificent sweet dessert wines. Burgenland is divided into four wine-growing areas: Neusiedlersee (Neusiedlersee DAC), Neusiedlersee-Hugelland (Leithaberg DAC), Mittelburgenland (Mittelburgenland DAC) and Sudburgenland (Eisenberg DAC), each with its own diverse terroirs. Each wine area has its own charming central town or village such as Gols, Rust, Deutschkreutz and Eisenberg. 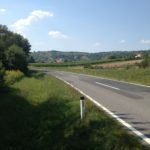 When we visited Burgenland in August 2015, it was at the tail-end of a heatwave that had climbed to 40 degrees in certain parts, and the days were still blisteringly warm in the mid to high 30’s during our visit. Since not all hotels in Austria have fully-functioning air-conditioning, this was sometimes an issue when transporting and storing wine, but fortunately we always managed to make a plan and we were able to make use of the Austrian Post Office’s excellent wine service to ship many cartons of delicious Austrian reds all the way back to Australia. During our earlier adventure though the Gruner winelands of the Niederösterreich, we had visited many of the top wineries personally in order to taste their range. 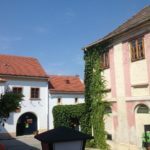 In Burgenland, however, we found that some of our best tasting experiences were to be found in the local wine tasting centres which house hundreds of wines from all the local wineries. 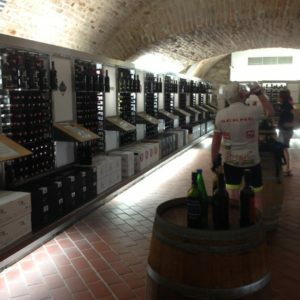 These wine centres included the WeinKulturHaus in Gols, the Selektion Vinothek in Eisenstadt, the Vinatrium Cellars in Deutschkreutz, and the Vinothek in Eisenberg. At these venues one can enjoy a wine flight or pay to taste a specific number of wines from different producers. Recommended examples of top regional producers include Pittnauer, Heinrich, Kollwentz, Moric, Gesellmann and Hans Igler. This entry was posted in Adelaide Hills, Adelaide Hills Gruner Veltliner, Adelaide Hills wine, Adelaide Hills wine region, Blaufrankisch, cool climate wine, Diurnal variation temperature, Gruner Veltliner, Gruner Veltliner Australia, Hahndorf, St Laurent, Uncategorized, wine, Zweigelt, Zweigelt Australia and tagged Adelaide Hills, Adelaide Hills wine, Adelaide Hills winery, Blaufrankisch, cool climate wines, Diurnal variation temperature grapes, Gru, Gruner Veltliner, Hahndorf Hill Gruner Veltliner, Landmark Tasting, Zweigelt, Zweigelt Australia. Bookmark the permalink.